Sep 30, 2016 - Is this the best mirrorless camera out there? Sep 20, 2016 - The X-T2 is here, review is on the way! Jan 24, 2015 - Selfie Is (Still) The Name Of The Game! Dec 21, 2014 - My new Lumix LX100 has landed! Oct 28, 2014 - Yay! The Panasonic LX100 is in stock! Sep 15, 2014 - Oh my, the RX100 is not alone, the G7X is here. A jack of all trades! Fuji X-T2 review posted. The Fuji X-T10 has landed! 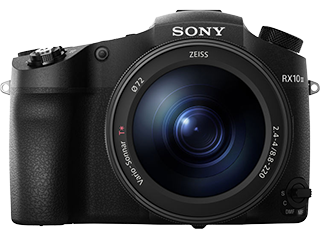 Important Note: the RX10III was replaced by the Sony Cyber-shot DSC RX10 IV (compare ). Use the Compare Tool to compare the RX10III to other cameras. See where the RX10III is placed on the Feature Graph. Find similar cameras using the Feature Finder. See the list of all Super Zooms . 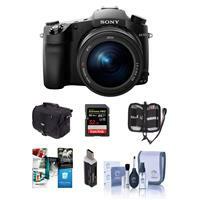 See the list of all High End Cameras . © All Rights Reserved by Eyal Gurevitch 2010 - 2014.